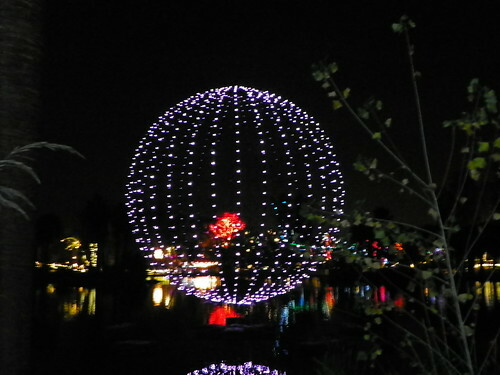 Unfortunately, despite trying a number of settings on my digital camera, the photos don’t do justice to the inventiveness, whimsy and movement of the light displays that use over three million lights – mostly LED – we are assured, so they use less electricity. There is a horse that seems to move, trotting along as each subsequent display is set up. An elephant playfully squirts water. There are “dancing trees’ that are the most impressive display with colors flashing red, green, white. 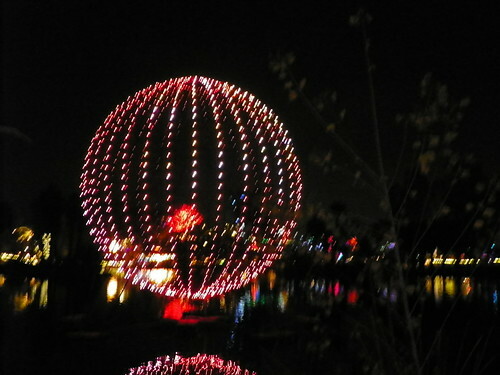 There is an orb that changes colors while floating shimmering on the lake. 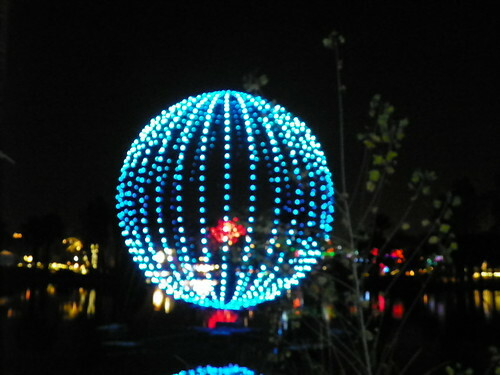 There are hundreds of different sculptural lights displayed as everything from flowers to an enormous orangutan arch. Children seem to be the most awed by the exhibits. And, there are other things to experience – Camel rides, a “Polar slide,” wagon rides, a merry-go-round and other rides. However, in the entire zoo, only a real komodo dragon was available to be seen, since the other real animals were tucked away for the night. 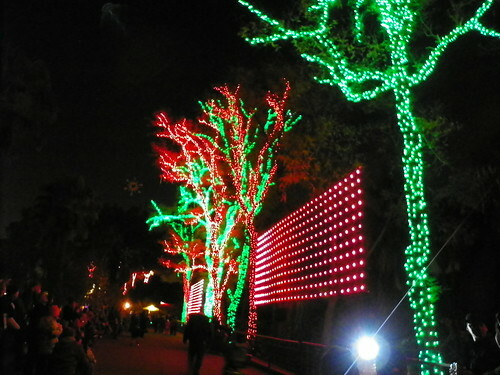 ZooLights is held annually from around Thanksgiving until early in the new year during the evening hours after the zoo is closed. 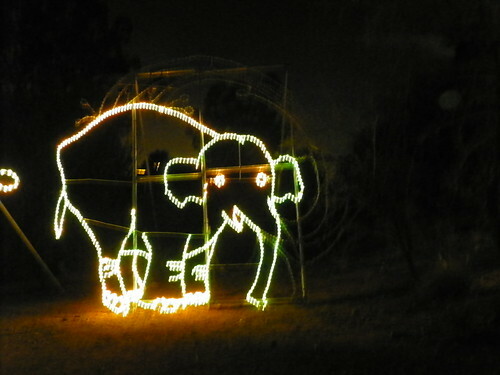 Other cities have a zoolights event and it could be one of the more delightful family events that people can share. 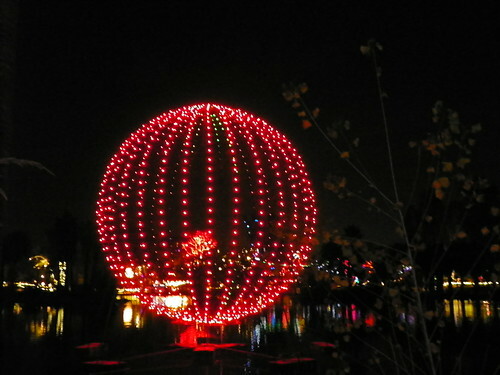 Catch the light show next year! 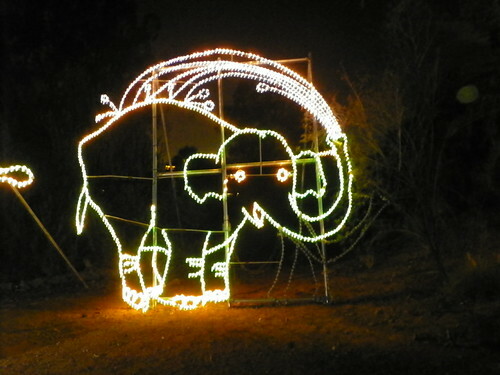 This entry was posted on Monday, January 10th, 2011 at 6:00 am	and is filed under Arizona, Family Fun, Scenery, Zoo. You can follow any responses to this entry through the RSS 2.0 feed. You can leave a response, or trackback from your own site.